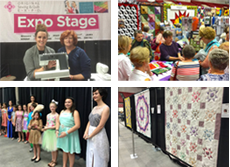 Original Sewing & Quilt Expo (http://www.sewingexpo.com) and Martha Pullen Events (http://www.marthapullenevents.com) are owned and maintained by Hoffman Media. By using this website, you agree to the following terms. Hoffman Media reserves all intellectual property rights of any documents, videos, photographs, trademarks, logos, images, and other materials contained on this website. You are prohibited from reproducing, displaying, distributing, or modifying these materials without prior written consent of the intellectual property rights owner, except for your personal use of the information. The Original Sewing & Quilt Expo and Martha Pullen Event websites contain third party links to other websites with which we are not directly associated. (These websites will open in a separate browser window.) We are not responsible for the content of these sites, nor do we imply endorsement by Hoffman Media. 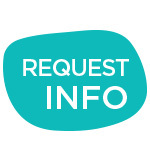 When you sign up for our mailing list or register for classes we ask you for information such as name, postal address, telephone number, and email address. By submitting this information via our website, you consent to the use of this information as listed below. Your postal address is used to mail brochures and other promotional mailings about Original Sewing & Quilt Expo and Martha Pullen Events in your area. You may also receive promotional mail from other businesses in the sewing and quilting arena a few times a year. Your phone number is only used to contact you if we have a problem with your order, and is not shared with anyone outside our office for any reason. We will use your email address to notify you when Class Registration is open for the events in which you have expressed interest. We may also, from time to time, send you updates and announcements of other news and features from Hoffman Media that may be of interest to you. We do not share your email address with any third party for any reason. You may choose to unsubscribe from these emails at any time. The confidentiality of your personal information is extremely important to us. The information you submit is encrypted using the Secure Sockets Layer (SSL) protocol to transmit sensitive information such as credit card numbers and addresses. SSL is a transport level technology for authentication and 128-bit data encryption between our servers and your computer noted on your web browser by a small picture of a padlock or a key. We receive our SSL certificate through Equifax Secure Certificate Authority Geo-Trust, which is a leading and trusted e-commerce secure sockets Certificate Authority. We are in PCI compliance with all security measures required by law and distinctive security requirements by Visa, MasterCard and American Express.